Why Choose OJ Insulation of California? Integrity, knowledge and excellent service – These aren’t just words, they represent how OJ Insulation does business. Whatever your needs, you can trust us to offer high-quality insulation materials and service. A variety of services – From insulation installation to fireplaces and acoustical ceilings, OJ Insulation can help improve the energy efficiency and aesthetics of homes and buildings in the San Diego and LA areas. Are you looking to save money on your energy bill while staying comfortable all year long? At OJ Insulation, we can tighten up your home or office in Southern California or the Greater Bay Area to ensure air does not easily escape. Whether you want to insulate your attic or walls with fiberglass, cellulose or radiant barrier, we can help! If you need commercial or home insulation in San Diego or Los Angeles, call us today for a free estimate—(800) 707-9278! Why Should You Choose OJ as Your Insulation Contractor? OJ Insulation is among the top insulation companies in San Diego, Los Angeles and surrounding areas. Why? When you have someone insulating your home, you want to make sure it’s done right the first time. At OJ Insulation, we have over two decades of experience to help you start saving money and living comfortably in no time with commercial or home insulation in San Diego and LA! We are always working towards being the best insulation company in California, so when we insulate your home or office, we make sure you are completely satisfied. At OJ Insulation, we won’t charge you for insulation you don’t need. When you schedule your free estimate, we’ll discuss with you the different options you can take to maximize your overall savings and comfort. We won’t try to sell you on insulation that won’t give you any returns. When you choose us, you’ll know you are getting the best value for your money. We stay up to date with local insulation trends, so we can constantly deliver the best insulation prices throughout Southern California and the Bay Area for cellulose, radiant barrier, and fiberglass products. We show up when we say we will. We don’t like to leave our customers waiting for us to show up. When you schedule your appointment, we’ll be there at that time—no excuses. At OJ Insulation, we make sure each person visiting your home or office is trusted and will deliver you the highest quality service! Are you ready to start saving money and live more comfortably than you ever had before? Never ask “Where can I find a reliable insulation contractor near me?” again! If you are in Southern California or the Bay Area and are interested in insulating your home or office, contact OJ Insulation for a FREE estimate! There are no obligations—so contact us today at (800) 707-9278! Whether you’re a homeowner trying to add insulation to your attic, a business owner interested in re-insulating your office space, or a contractor in charge of building a new multi-dwelling unit, OJ Insulation can handle all your insulation needs. We install radiant barrier, commercial foil, fiberglass, cellulose and rigid foam boards. Homeowners and builders in the Los Angeles and San Diego areas have relied on us since 1984. In addition to insulation, OJ Insulation also installs rain gutters in Los Angeles and Azusa, CA. We also offer painted galvanized gutters to ensure your new rain gutters blend into your home’s facade and are protected from rust damage. To learn more about our rain gutters in Los Angeles, Azusa, or the surrounding areas in California, contact us online or give us a call today at (800) 707-9278! Gutters are effective at directing rainwater away from your home, but unfortunately, it’s easy for them to get clogged with leaves, pine needles, animal nests and other debris—even old tennis balls or dog toys! Gutters are particularly prone to clogging in the fall and spring. But gutter guards and leaf screens, which can help prevent clogging, are beneficial all year long. Gutter guards are systems engineered to help prevent clogs by keeping out debris without blocking water flow. The OJ Insulation team can install fireplaces and acoustical ceilings. 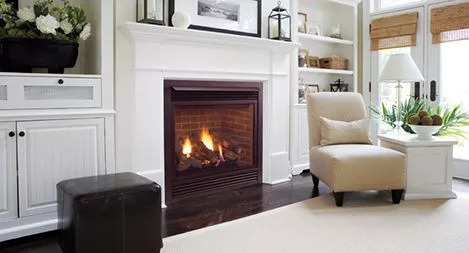 We have worked with many Los Angeles and San Diego area builders, contractors, and managers to install fireplaces in homes and install acoustical ceilings in commercial buildings. OJ Insulation opened for business in 1984 in El Monte, California. Our objective was to develop a reputation among local builders and contractors for thorough professionalism in completing commercial and residential insulation projects. For over 25 years, we’ve developed our reputation and are now known as one of the best insulation companies in California. From the start of every project to its completion, we dedicate ourselves to providing you with the superior service that reflects our quality and professionalism. After 25 years of devotion to all of our customers, we have grown from a small garage into a multi-branch insulation company servicing all construction projects in Southern California and the Bay Area (Santa Cruz, San Jose, Gilroy and more). There is no insulation job too small and no job too large for our experienced insulators. OJ Insulation is your one-stop shop for insulation in any application in California.